Ireland has only 0.064% of the world’s population. Yet it has international influence that far exceeds its size. 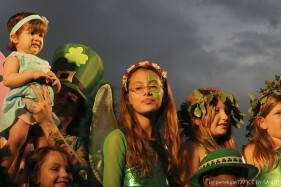 Today, St Patrick’s celebrations involve over 150,000 people in New York City alone, and around 34 million Americans consider themselves to have Irish heritage, over 7 times the population of Ireland itself.